I don't know what the actual definition of quick reads is, but for me it is a book that I can finish under four hours or lesser. I choose quick read books mainly when I'm travelling or want to pass time for a small period. When I was working in Chennai, I used to come to Bangalore every weekend. Quick reads are what kept me company during the six hour train journey. I love to buy comics and other books off a railway platform. Tinkle being my favorite book to read during a train journey. I love comics and nothing like these breezy reads to get you through a train journey. Tinkle brings back so many childhood memories every time I read it. From writing to Uncle Pai to saving money to buy the new edition, everything is such a strong memory. Earlier, the stories used to be so meaningful and creative. By earlier I mean like nine years ago, when I had just started work. These days, the stories are really silly. While some do make sense, most of them are shoddily executed. Archie comics are another favorite when it comes to quick reads. They have a certain sophistication. I love their stories and how playful and colorful it is. I even like to read Chacha Chaudhary books, they are very interesting. While traveling it is nice to read some entertaining comics that is not too much to digest. Some Indian folk tales are fun too. Akbar-Birbal is too cheesy at times, but fun nevertheless. This are the books I prefer during a train/bus journey. At home, after finishing a heavy book I prefer to read something light. I usually pick up short stories for this. Otherwise I am no fan of reading short stories. One story that I immensely enjoyed was a 30 minute read. 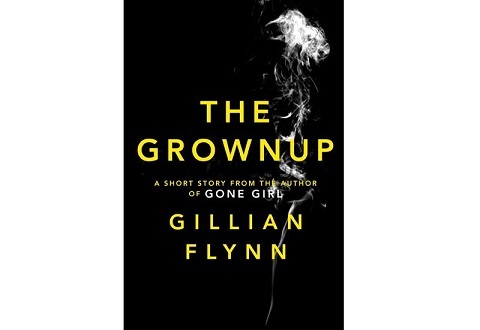 It was 'The GrownUp' by Gillian Flynn. What beautiful narration and what a gripping end this book had. Agatha Christie's graphic novels are also my favorite quick reads. After reading a 500 page emotion laden book, nothing like a simple murder mystery to break out of that feeling. Enid Blyton books were considered novels when I was young, but now they too form a nice quick read. Every once in a while it is important to take a break from heavy reading and read something light. This is when I miss those 'Wisdom' books that you used to get earlier. What a treasure they were! For now, I'm content with Asterix, Tintin and Archies for that much deserved break from heavy reading. If you do not want to read at all, put on that music and groove instead. What is your favorite quick read? Quick reads are my favourite after a week of exhausting work, housework, blogging and more. Comics are my best bet. Asterix, Tintin, Tinkle and Amar Chitra Katha are my go-to books. Any time. I have not read Gillian Flynn but I am planning to pick your brain on book reccos now that the Kindle has arrived. I want some quick reads. I haven't been able to read much these days. But yes Tinkle still is my favouite quick read. And yes, I miss Wisdom! I loved Archie and Asterix. I could never warm up to Tintin though. I like to pick up chicklits for travel or short stories that don't need me to invest too much of myself. Almost picked up The Grownup at Blossoms, and kept it back, leaving it for another day. Another quick read, which is also a comic, I enjoyed tremendously was Sarah Anderson's Scribbles. Really funny, relatable stuff. Loved her! I do love going back and reading Enid Blyton when I need some downtime from the heavy books I tend to choose. I used to love Archie and other comics back in the day --- it's been a while though since I read a comic book. I stopped reading Enid Blyton, Tintin, Archies, Chacha Chowdhary,Champak, Nandan a long time ago. 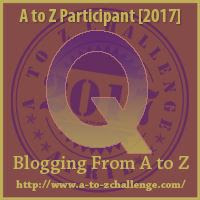 Now between heavy books, I pick up romance or blogs ;) It's fun and they are my quick read. I will get this book on your reco. I don't read a lot of comic books. I prefer to read magazines, if I have thirty minutes or less as free time. Or I'd read a short story collection by Jeffrey Archer. Or Reader's Digest. Maybe I should give comic books a try. I've been coming across a lot of talk online about how wonderful they are! This book was a treat. Since I am Flynn's fan, I was expecting it to be awesome and it was! This girl is genius! If you haven't read Animal Farm by George Orwell, you can try that as well. Loved it! It's a satire. I have a whole stack of Wisdom. :-) Love comics and short stories...and some non fiction too!